Thunder Bay First Aid is affiliated with St Mark James, giving trainees quality first aid classes in Thunder Bay, Ontario. Students can choose from a wide selection of first aid and CPR training programs, all offered at very affordable (the lowest in the city!) fees and rates. As more and more employers are requiring employees to have basic first aid certification, there has been an increasing demand for first aid classes in the city. It has become important to Canadians to be trained in basic first aid for the home and the workplace. With Thunder Bay First Aid, students can find a program that suits all their needs. You can visit the homepage for more details. The first aid training program is a workplace approved training classes that runs from 14-16 hours, over a span of two days. The program’s curriculum covers a comprehensive list of topics, all focused on identifying emergency situations and managing them. Cardiopulmonary resuscitation (CPR) is a major topic taught during first aid training, with the basic first aid classes teaching students how to perform CPR on adult victims. There are variations of CPR taught in CPR-only classes. In order to pass an enrolled program, a trainee needs to complete these requirements: 100 percent attendance, at least 75 percent on the written exam, and good demonstration of first aid skills. Once a student completes are these requirements, he or she is awarded a workplace approved training certificate. 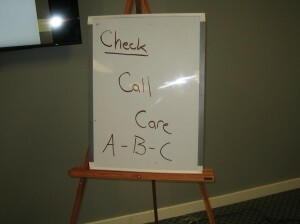 CPR-only classes are also offered to trainees, with three different categories to choose from. CPR level A and C are targeted towards laymen, the former teaching CPR for adult victims and the latter teaching CPR for adult and pediatric victims. CPR level HCP is targeted mainly towards health care providers and professionals, teaching CPR for adult and pediatric victims. CPR-only classes last 4 hours and are available at various schedules throughout the week. All students are awarded a St Mark James certificate that is wallet-sized but bigger, wall-mount sized ones are also available upon request. After three years, all certificates expire so students need to sign up for a recertification program before the expiration date. Recertification for first aid is available several times through the week as well, 6-8 hours long and inclusive of CPR level C recertification. Thunder Bay First Aid does not renew expired certification so only those with certificates that are valid will be eligible for recertification programs. Students interested in training with Thunder Bay First Aid can enrol through the application form on the website or through e-mail. Any sign ups done through telephone call or in person have to be completed during business hours. 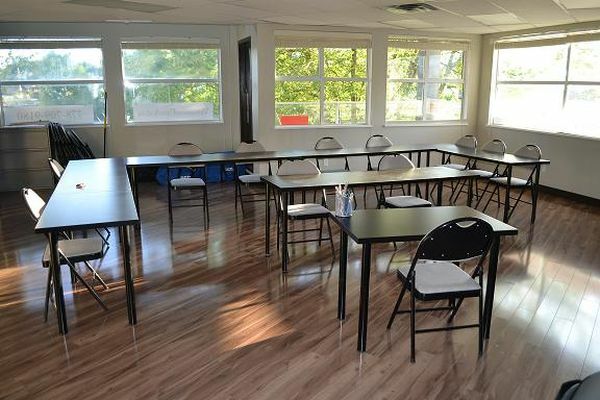 With Thunder Bay First Aid, students can also settle all training fees during enrolment or before the start of training. The total fees include tuition, taxes, certificates, and manuals so there are no more additional fees paid after the training is completed. 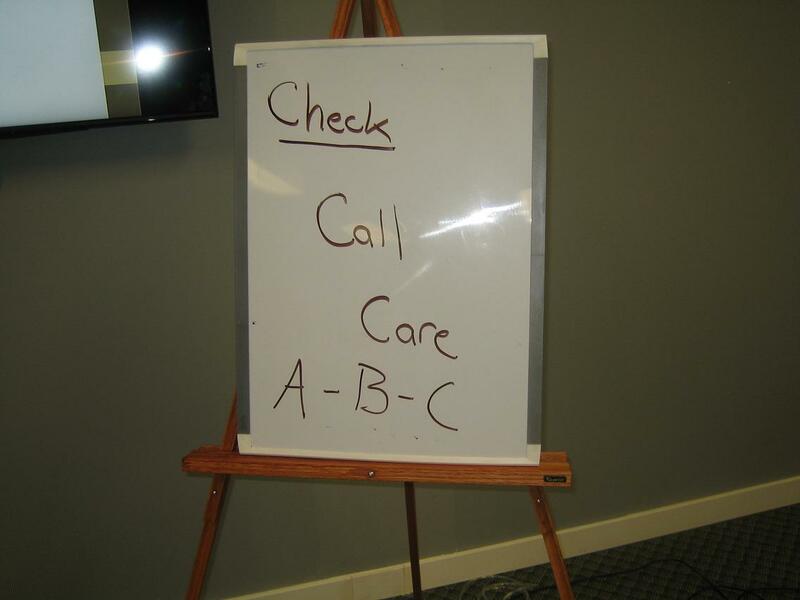 Start your first aid training with the following lesson and sign up today! Thunder Bay First Aid does not renew expired certification so only those with certificates that are valid will be eligible for recertification programs.